Welcome To Hite and Heath, L.L.P. 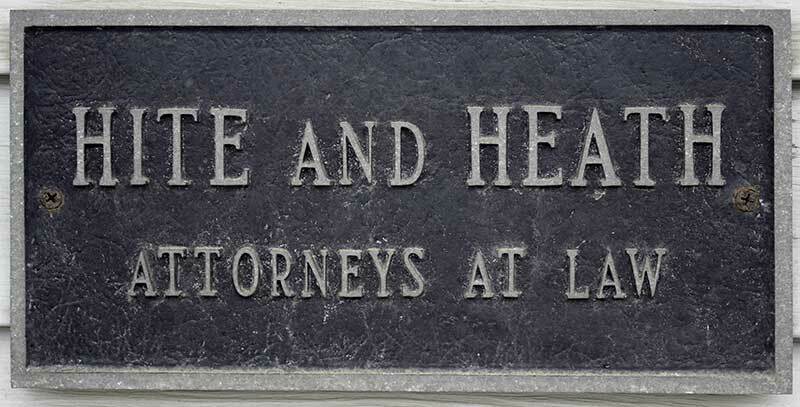 Hite and Heath, L.L.P., founded in 1913, is engaged in the general practice of law in Utica, Ohio. The two partner attorneys, F. Richard Heath and Sara G. Light, have extensive legal experience. Mr. Heath has practiced for over 40 years and Mrs. Light for over 25 years. They have the experience and expertise to serve your legal needs in various areas of the law. Our office is located on Main Street in downtown Utica which is located on the Knox-Licking County Line, halfway between Newark to the South and Mount Vernon to the North, at the intersection of U.S. 62 and State Route 13. Utica is a rural agricultural community only 45 minutes from downtown Columbus. It is the home of Velvet Ice Cream and Ye Olde Mill and since 1974 has hosted the annual Ice Cream Festival. Hite and Heath, L.L.P., is dedicated to furnishing confidential, efficient and effective legal assistance to all of its clients. Phone calls and emails are ordinarily returned promptly. Copyright © 2019 All Rights Reserved - Hite & Heath L.L.P.